Hi, and welcome to ChinaScratched! When you’re planning a trip somewhere you’ve never been and the initial google search leaves you more confused than informed, don’t you wish you could just call someone who could answer all your question? Not only about which regions, cities and sights are worth seeing, but all the other small concerns and worries that come up too? And you want objective recommendations, from someone who can give you all the pros and cons, right? If you are planning on going to China, you are in luck, since that person to call happens to be me! 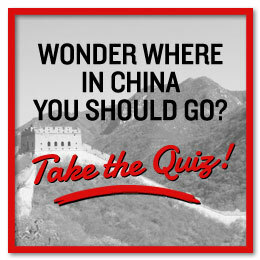 My name is Christine Surlien and I started ChinaScratched to help you plan and prepare your dream trip to China. I don’t sell any travel products or do your bookings, but I can give you everything you need to get going. My mission is simply to make travel planning to China easy, fun and inspirational. Doesn’t matter if you are just getting started, are planning to travel by your self or have already signed up for a group tour, I am here to answer your questions. From the first time I set foot on Chinese soil at the age of 19 I’ve had a passion for (almost*) all things Chinese. In the beginning it was the everyday life I experienced as a student in Beijing that fascinated me the most. The street life, customs, food and noise. Later, as I digged deeper into Chinese language, culture and history it was the grandness of it all. The historical sights make me want to travel back in time, while the new cities give us an exciting glimpse of the future. 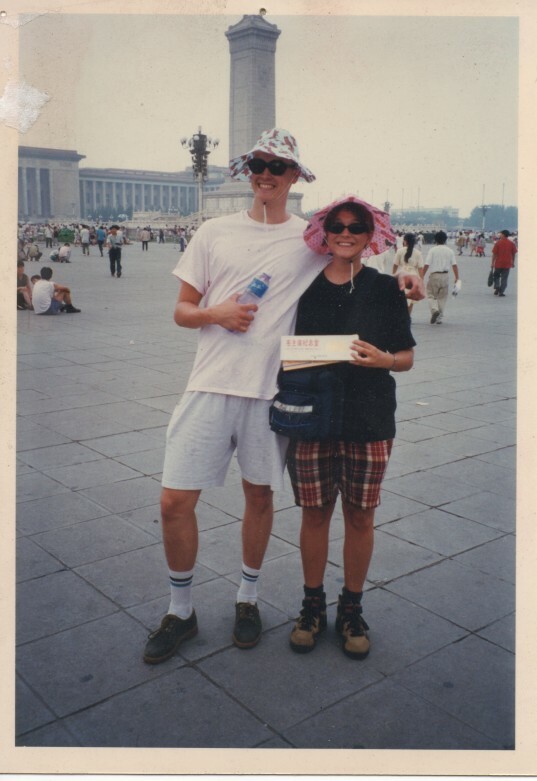 My other big passion is traveling and the combination of the two has sent me around China for almost 20 years now. I have studied in Beijing and Hong Kong, worked as a China travel consultant and have lived and worked in Beijing with a diplomatic passport. I intimately know China as a backpacker, luxury traveler, tour guide, driver, mother, shopper and eater! So how do I transfer all this knowledge over to you, so that your trip to China end up being as exciting and fascinating as it should? You can read my articles here on ChinaScratched, on everything from toilets to cash. You can sign up for my newsletter and get useful insider’s tips straight to your inbox every two weeks. 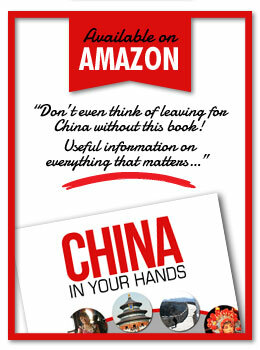 You buy my book China in Your Hands, on how to travel in China like a pro. You can contact me for consultations, tailored lessons prior to departure and speaking engagements for groups. I can’t wait to hear how I can help you! Talk to you soon. Does the (almost*) makes you curious? Get in touch and I’ll tell you more! 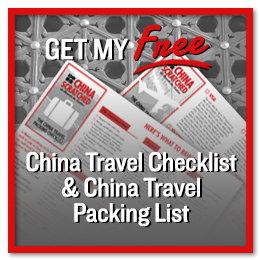 Few people are better equipped than Christine Surlien to help you prepare for a trip to China. She will help you find the best places for you to travel, based on your interests and budget. She will help you understand what you will encounter there and what to expect, so as to ensure a great adventure. She has studied Chinese culture and language extensively. 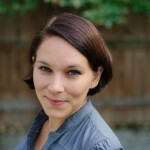 For more than a decade Christine has been associated with KinaReiser, Norway’s leading agency for travel to the The Far East. Seven of those years as a full-time consultant, later as a tour guide and expert writer. She was also employed at the administration of the Norwegian Embassy to China for two years, before relocating to Washington DC with her diplomat husband and their two children. She has spent two years at The People’s University of China in Beijing, done five years of Chinese studies at the University of Oslo, and has her masters degree from Hong Kong University. Christine is now back in Oslo. The name of this blog, ChinaScratched, alludes to the fact that China is such an enormous country, encompassing so many different people and cultures, wildly differing regions and opportunities, so much history and legend. Even if you spend your life studying China, you could barely scratch the surface. It is also a play on words. Once you’ve been to China, you’ve been “scratched”. It makes an impression that will stay with you for life.